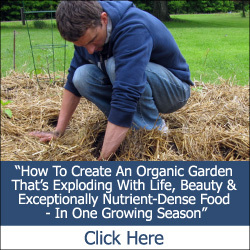 If you live in an area with distinct seasons, there are natural limitations to when you can grow vegetables outdoors. Obviously, in the spring, you have to wait until the threat of frost has passed and soil temperatures reach acceptable levels. But it seems like shorter days and cooler temperatures are back in season before you know it, signaling the end of the outdoor growing season. Of course, you can’t beat Mother Nature entirely. 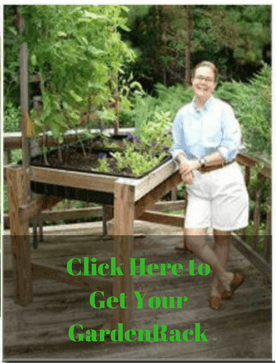 However, if you learn to work within the boundaries she sets, you can find ways to successfully extend your vegetable growing season a bit longer. While you can’t prevent late spring frosts or early blasts of winter, you can mitigate much of the damage caused by these natural events. You simply have to be prepared to provide adequate protection for your tender plants when the need arises. 1. Mulch. Adding a heavy layer of mulch is an easy way to provide protection for your plants. Mulching around your plants provides a layer of insulation for the soil when temperatures dip too low. It will also help hold in moisture as temperatures rise so you won’t have to water as much. There are many types of mulch available, including shredded leaves, wood chips, grass clippings, straw, and compost. 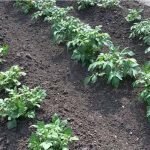 Whatever type of mulch you choose for your food growing area, check to ensure it is free of chemical pesticides and herbicides. 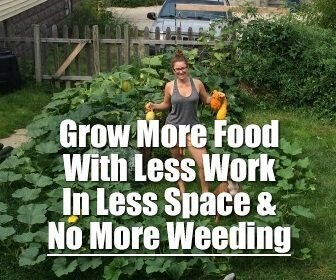 For example, if you use a lawn service to keep your lawn green and free of weeds, you wouldn’t want to use your lawn clippings on your vegetable garden. Personally, we keep a chemical-free lawn, so we always have a large supply of grass clippings handy for mulching. 2. Cold Frames. 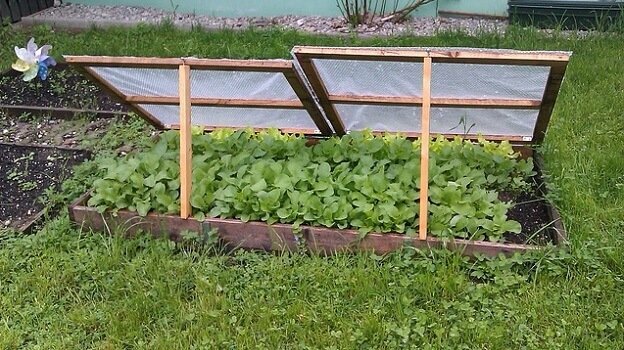 Cold frames are another great way to extend your vegetable-growing season. A cold frame is typically a four-sided structure with a glass or plastic lid on top. They are used to trap heat from the sun to keep plants warm when temperatures drop. 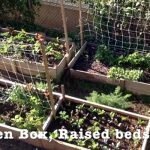 Cold frames are relatively easy to build. Start by creating a rectangular or square structure out of wood and securing an old glass window or door on top with hinges on one side. This will keep the top from blowing off in the wind and will make it easy to open and shut as you add and remove plants. Potted plants and seedlings can then be placed inside to harden them off or help them survive unexpected dips in temperature. 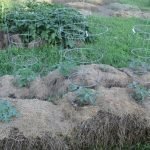 In a pinch, you can create a makeshift cold frame with several bales of straw and an old glass window or door panel. Simply arrange the bales in a rectangle, while leaving the interior empty to house your plants. Top with a window or glass-paneled door and securely weigh it down on both ends so it doesn’t fly off in high winds. If neither of these options appeals to you, you can always buy a ready-made version at your local garden center or online. You’ll pay more for this option, but won’t have to go through the hassle of finding materials or investing the time to build it yourself. 3. Add a Greenhouse. For many gardeners, a greenhouse is the ultimate gardening dream. How great would it be to have a permanent year-round space to nurture and grow your favorite plants? As an added bonus, a well-designed greenhouse can serve as a beautiful focal point for your property, as well. Unfortunately, hiring a contractor or purchasing a high-end kit to build a permanent greenhouse can get pretty expensive. Plus, you may need to pay to heat the structure part of the year in colder climates (although you may be able to successfully sustain certain crops through the winter with the use of row covers and/or blankets inside the greenhouse. But if you rent or have limited outdoor space, a permanent greenhouse may not be a viable option. 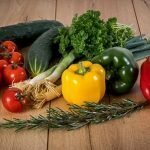 However, you can still enjoy many of the benefits a greenhouse offers without the high price tag or long-term commitment. There are a number of very affordable and portable mini-greenhouses available that are lightweight and have a small footprint. These options take advantage of vertical space by providing four or five substantial shelves to house your plants. 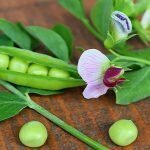 With a bit of advance planning and some determination, you can sustain your plants into the colder months, and extend your harvest longer than you may have expected. Here in Ohio, we have managed to harvest salad greens for Christmas, and kale and cabbages as late as January – so it is possible!